In high-volume distribution centers, sensors record and communicate thousands of pieces of logistics data every day, but the challenge is compiling and interpreting all that data. SICK’s Package Analytics software aggregates this data to help you visualize all SICK sensor data so you can make timely and informed decisions for your logistics operations. 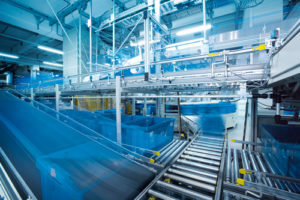 From an individual package on a conveyor to an enterprise that processes millions of packages per day, Package Analytics software helps drive timely decisions in high-volume distribution centers with comprehensive, real-time performance monitoring. Unlike sortation vendor reports that show simple read rates, Package Analytics quickly retrieves comprehensive package data based on relevant characteristics. 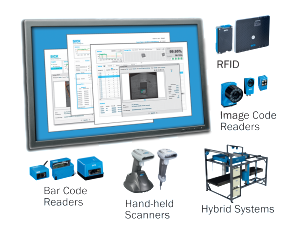 This software boosts the traceability, accuracy, and efficiency of your sortation operations. Package Analytics software allows you to retrieve and analyze system performance information as well as the status of all recorded data with ease – from an individual package on the conveyor to an overview of the millions transported each day. This provides operators with direct access to the key variables for the materials flow, allowing them to understand and control these variables in a more appropriate way. The dynamic database solution simplifies the processes of monitoring, analyzing, and creating reports, while images or videos of the packages can be pre-filtered and analyzed with ease in line with predefined selection criteria. Package Analytics software can record and visualize the barcode quality and read rate of an individual system. In addition, the high-performance client/server platform can be used across several systems on a single site or even networked over multiple locations. The service and support team offers exceptional system throughout without the hassle of a call-out – the SICK Meeting Point Router (MPR) provides safe and reliable remote access worldwide to the systems and plants listed in the Package Analytics software. Data gathered by intelligent sensors is full of rich information for your operations, but data is only as powerful as the analysis. Package Analytics makes sense of this valuable data to help you make decisions that increase productivity and efficiency.